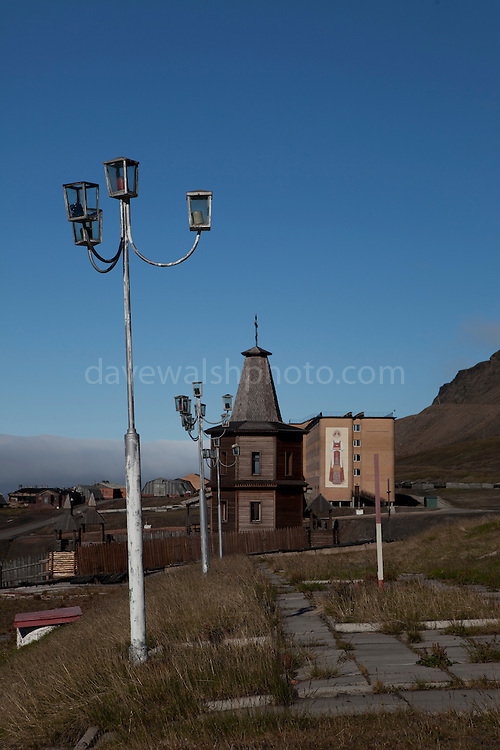 Russian Orthodox Pomor style church in Barentsburg, a Russian coal mining town in the Norwegian Archipelego of Svalbard. Once home to about 2000 miners and their families, less than 500 people now live here. The church was built as a memorial to the 141 miners and their families that died in a plane crash in 1996, and the year afterward when 23 miners were killed in a mining accident. The Cyrillic text reads "peace on earth", on the mountain behind.